Welcome to our popular Migrant Tales series – first hand accounts of the migrant experience of New Zealand. Today’s tale was sent in by Allen. Allen is Chinese born, emigrated to New Zealand when he was a child and had a pleasant upbringing. He is fluent in English and Mandarin and was relatively unscathed by racism whilst growing up in a multicultural part of Auckland. He went on to University and made a career in engineering – the very sort of young professional that New Zealand so desperately needs to retain. It was only after Allen had travelled outside of the country that he came to realise that New Zealand wasn’t the land of promise he thought it to be. He is now in the process of emigrating to Canada and we wish him success in his new venture. I was born in China and when I turned 10 my parents immigrated to Auckland, New Zealand in 1997. I suppose they came here hoping for a better future for me. We arrived in NZ with permanent resident visa (much easier back in the days) and within four years both of my parents found relevant jobs and we bought our first house. Growing up in NZ was actually quite pleasant for me. I was never bullied as a kid, and had European friends growing up. I found them to be accepting of me while I steadily improved my English. Once I started high school I was fully embracing the New Zealand cultural. I supported the Black Caps, All Blacks and felt every part a New Zealander. I played cricket, touch and hockey, all very popular NZ sports and never once felt out of place. This may be because I went to a very multi-cultural school as we had over 80 nationalities at the school (Mt Roskill Grammar). Racism was still there (usually in a joking manner) but we somehow we all managed to put aside our differences and got along with each other. Throughout High School to University I tried very hard to fit into the NZ cultural. 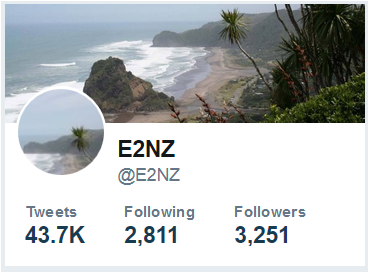 I speak English with an NZ accent (I still speak fluent Mandarin), I follow NZ current events, sports and I get the Kiwi jokes and often dished out some of my own. I thought to succeed in NZ I had to become one of them and I tried my very best to fit in. Once I finished university (Bachelors in Engineering), I found work with relative ease and fitted in to the work environment quite easily too (mostly because I tried my best to act like a Kiwi and follow the Kiwi cultural). Whilst I was still in University I came across many international students (mostly from China and India) who often complained NZ was a rude country and there weren’t much to do here. I was said to them you have to try to fit in, learn the NZ cultural to be accepted here. I still stand by that because it is true, you should try and integrate into the NZ cultural else you’ll have a hard time living here. However, my attitude towards NZ completely changed when I started working and travelling. With work I spent majority of my time overseas and once I quit my job I travelled around the world for six months. I have been to 32 countries and I have realised NZ may not be the land of promise I once thought it was. I guess after reading a lot of the stories/comments on the website, as an immigrant who grew up in NZ and went through its education system I thought I’d put in my two cents. • Clean, beautiful and very relaxed life style. People here are generally friendly. • Safe in general, but starting to get a bit more dangerous. • Once you have the NZ passport it is very easy to travel anywhere in the world. Also there are number of working holiday opportunities. • NZ cultural (or lack of) is actually quite boring. We are centred on Cricket and Rugby and really nothing else. Rugby is a religion and seems like the only thing people talk about. • A terrible drinking cultural. When we go out we go out to get f**ked up, and when we do we become violent. • Lack of public transport. Cars are cheap, but good luck trying to get anywhere on the bus or the train. Auckland reminds me of Los Angeles. • Racism still is a problem. Maybe not so much in Auckland because there is a large Asian/Indian population. When I talk to strangers in perfect NZ English they still question where I am from. Haven’t they heard of f**king immigration? • Caucasians immigrants are accepted, where Asians, Indians are not so welcomed in NZ. I feel NZ has a hard time adapting or accepting other cultural. This is changing because in Auckland we have huge Chinese New Year’s celebrations and Indian Diwali festivals. A lot of Europeans do come and see what the fuss is about. I guess even white people realise Chinese New Years/Diwali festival are probably a bit more interesting than the same Xmas parade every year. • Lack of work opportunities and if you are an immigrant good luck getting your qualifications recognised unless you are from Australia, UK or States. I know this because I worked for two companies (Engineering) in NZ and 80% of their work is overseas! I’ve known highly qualified professionals from overseas doing carpet cleaning, mowing lawns simply because NZ don’t recognise their qualification and won’t even give them a chance of trying them out. • Most of people I know from high school has no passion in life. Fridays usually involve getting high, getting pissed. Either that they spend half their money on modifying their cars or buying clothes to dress like gangsters from America. • Close minded people, we kiwis in general really need to get out more. There is a whole world out there other than UK and Australia. • Due to the location/isolation of NZ we are always the last ones in the world to get anything (movies, gadgets, cars). Everything is so much more expensive and the lack of choices really annoys me (compare to the states). Going anywhere for holiday will be a fortune because unless you go to Australia or the Islands it’s a minimal 10 hour flight. 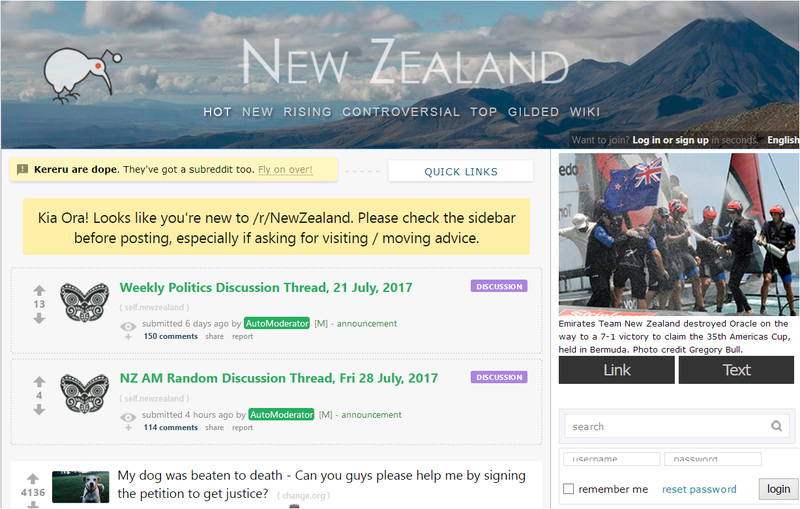 It’s not really NZ’s fault but I am starting to hate it. Not every country is perfect and NZ do have its share of problems, but as a young professional I have decided there is so much more out there in this world. I’m packing my bags to go to Canada in a few months’ time to try my luck there. Is Canada going to be better than NZ? I’m not sure but I’m willing to give it a go because NZ is just not cut out for me at this stage of my life. Cheers!